Our diverse universe, though diverse, is indeed a dot. We are far, yet very near, thanks to the internet and the communication it enables. Though we are neatly connected, working times, working days, time zones, organizational culture and practices, etc., may differ. As a global industry, recognition and appreciation of the differences and variants are not likely to hinder, but instead grow our network. So it’s worth knowing how others operate. Did you know that the working week in parts of the world runs from Sunday to Thursday, with Friday and Saturday being the weekend? Some countries used to operate a Saturday to Wednesday working week, with Thursday and Friday as their weekend. From experience, I can say that it doesn’t feel any different from a Monday to Friday working week. You adjust from the word go! However, not many realize this difference in business operation hours and days across our global industry. 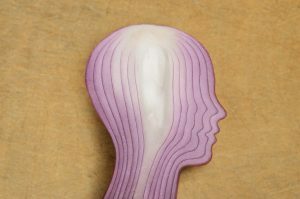 To effectively connect and market our products and services on the global sphere, we should not only know our onions (know what we’re talking about from our perspective) but also know our potential customers—an essential ingredient for international success. Yes, the world is a dot. We remain connected by knowing more than our onions!